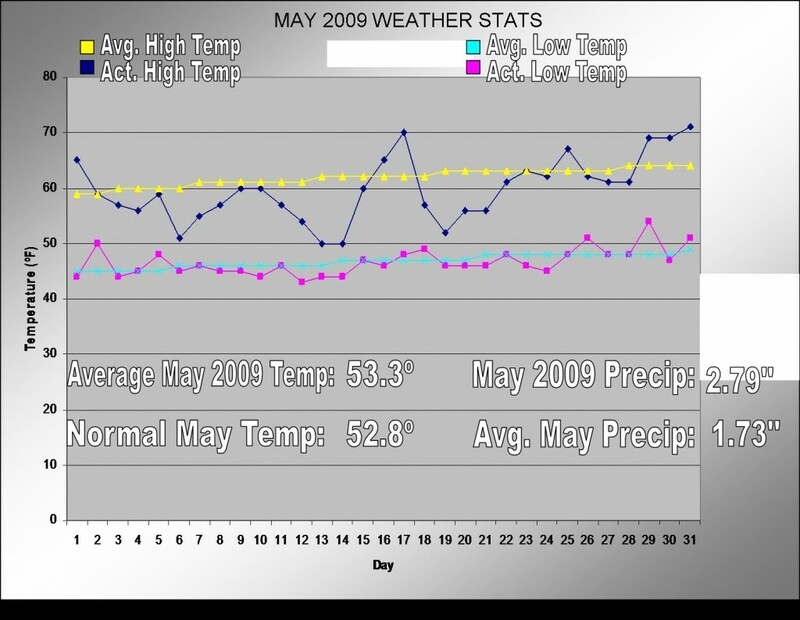 May 2009 Weather Stats: You May Be Surprised! It’s another beautiful day out there, though I wish the high clouds would leave us alone…it makes it feel quite muggy outside. *You can click on the above image for a closer look. Can you believe it? The very first day of May, a little period in the middle of May and a few days at the end of May really made a difference between a below normal or above normal month. Even though the cold, wet windy weather may stand out above the nice, dry weather the numbers don’t lie: we ended up 0.5º above normal, first time we’ve been above normal for a monthly temperature in 6 months. Crazy. Precipitation was no doubt high (1.06” above normal to be exact! ), but for some reason I expected the numbers to be even higher. I mean, Seattle ended the month with 3.61” of rain in the rain gauge and “all we got” was 2.79”? Hmm…well, we all know the Bremerton records aren’t the greatest. At best, the numbers you see on the graph are a guide…I don’t know how much stock we should put into them. 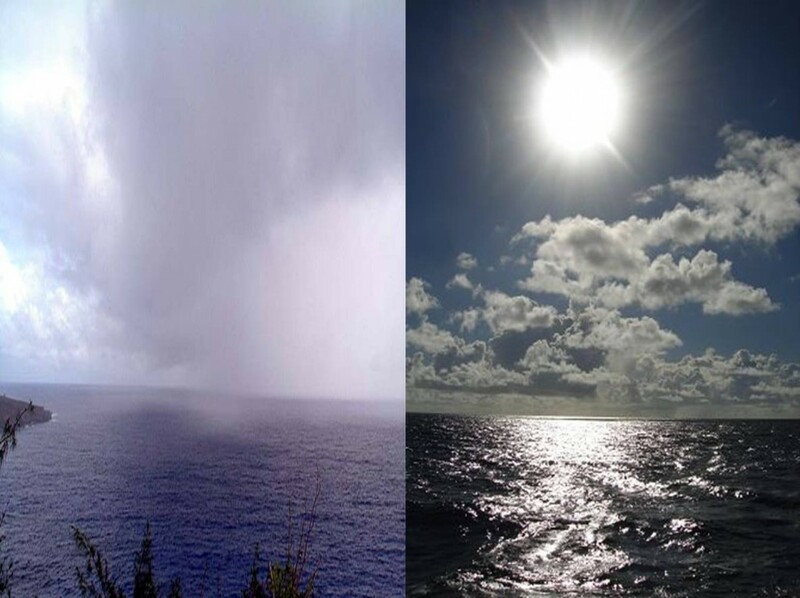 Overall, I’d say if you count the windstorms and abnormal rain out of the picture, May 2009 has been pretty normal with a few heat waves sprinkled within long streaks of partly sunny, 60º days. Long range models that run until the end of June are signaling a return to near normal if not slightly below normal temperatures and slightly above normal precipitation. But that’s not to say we won’t have our moments of sunny, warm days! 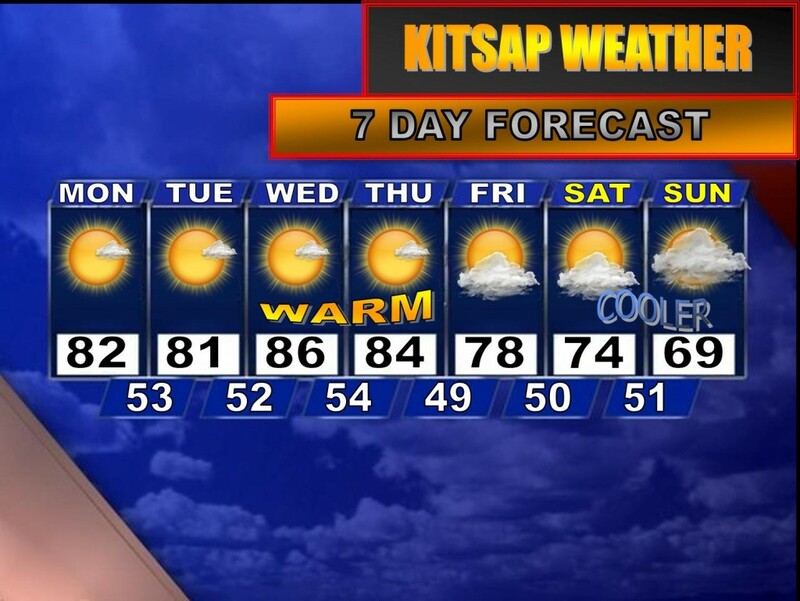 But like I mentioned, the next 5-6 days will be gorgeous: 80º days, some of which will be well into the 80s, with partly to mostly sunny skies as the high clouds hang around for a while.